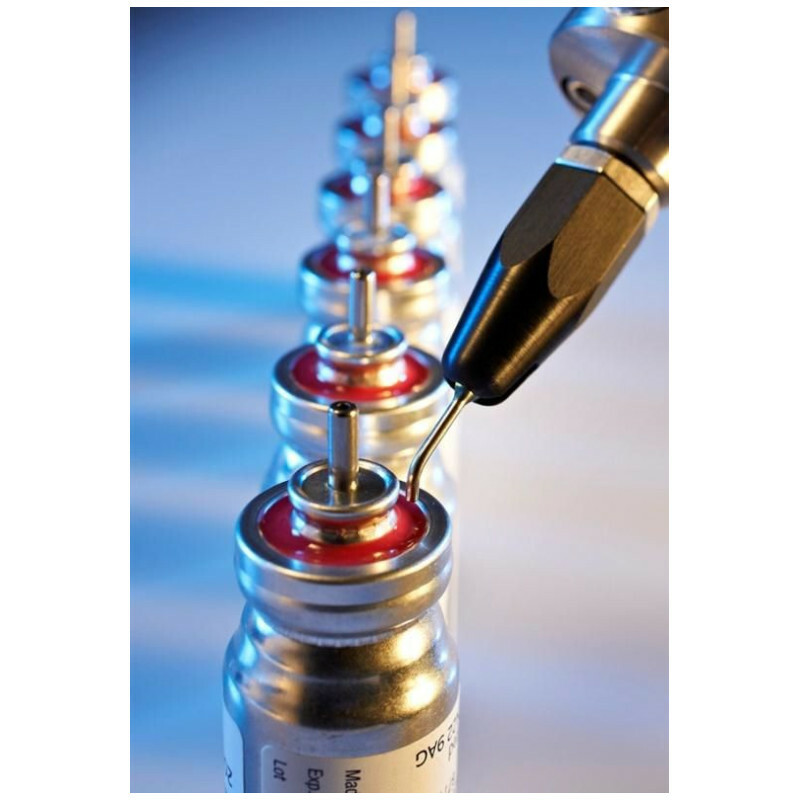 Needle Valves dispense very precise deposits over a wide range of shot and bead sized due to a minimal dead fluid one. An external stroke control adjustment to fine-tune shot sizes. Easy to maintain, with little or no downtime. The compact design and easy-mount threaded hole allows for easy integration into automated applications. 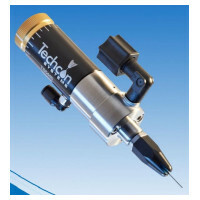 The TS5440 Microshot Needle Valve is a pneumatically triggered single-acting valve that can be used with an internal spring close (single action) or may be connected for air closing without the spring (double acting). 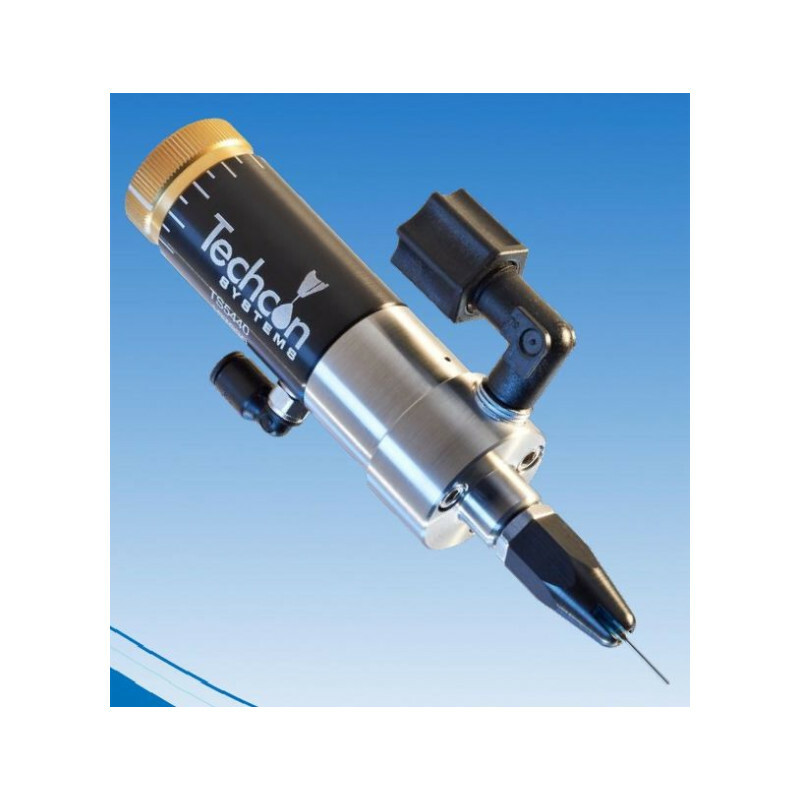 The TS5440 Microshot Needle Valve, with its needle closing the fluid path directly on the cannula inside the needle body, can dispense very precise deposits down to 0.0005 cm3. The TS5440 Valve's wetted parts include FDA-compliant 303 Stainless Steel.